India has signed a $5.4 billion deal to buy five S-400 air defense systems despite the looming threat of US sanctions on countries that trade with Russia's defense and intelligence sectors. India will maintain its defense cooperation with Russia despite threats coming from the US, a source in the country’s military-industrial sector told Sputnik. President Donald Trump has said that India "will soon find out” his decision on punitive CAATSA action after New Delhi decided to buy more than $5 billion worth of S-400 air defense missiles from Russia. Under the Countering America's Adversaries Through Sanctions Act the president has the right to grant a waiver to India on the weapons deal with Russia. The White House said last week that the presidential waiver on weapons deals with Moscow was meant to “wean” counties off Russian equipment. 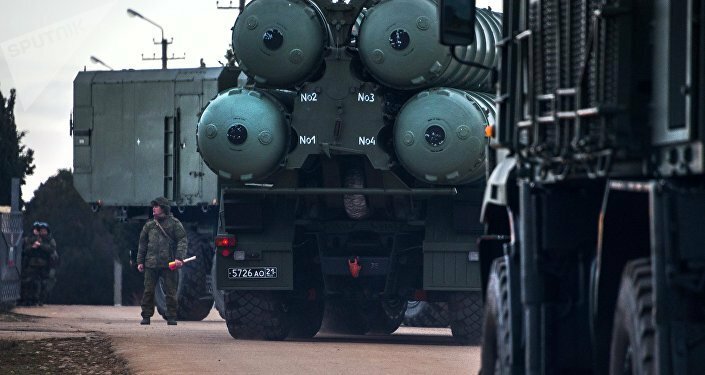 Last Week, Kremlin spokesman Dmitry Peskov told Sputnik that Russia and India had inked a historic $5.4 billion deal on the supply of S-400 Triumf air defense missiles to New Delhi. The agreement was signed during President Vladimir Putin’s visit to India for talks with Prime Minister Narendra Modi. Washington has voiced concern over India’s plans to purchase the S-400 system, warning that sanctions over the deal could not be ruled out.